Brendan Spaar remembers when he got his first Nintendo system and games. It was 2nd grade and after saving up all his birthday and Christmas money he was able to buy a tv and Nintendo. The video gamer was born and hasn’t looked back since. 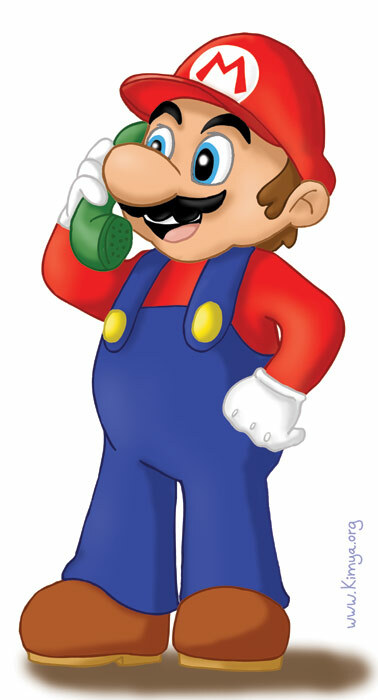 Now the Super Mario that we all know is going high tech. Soon you’ll be able to play the games you love while you’re on the move. No more being tied to a console device. Nintendo just announced that it is branching out into the smartphone games market. Investors have been urging Nintendo to take the leap to the next level after losing customers to other smartphone gaming app makers and console rivals like PlayStation (Sony Corp) and Xbox ( Microsoft Corp). It appears Nintendo listened and is teaming up with online gaming firm DeNA Co Ltd to develop and operate gaming apps. As an added bonus, later this year they will roll out an online membership service accessible on mobile devices as well as Nintendo’s Wii U console and the portable 3DS. Satoru Iwata, Nintendo’s president, believes the games made with DeNA will boost demand for its platforms by exposing more consumers to Nintendo games and driving them to buy Nintendo hardware. But if you love Nintendo’s console games, should you worry about the move to mobile gaming? It might be tempting to focus on making money from mobile games and continue funding that section of the business rather than invest the money into the production of console games. Going mobile might be a good move for Nintendo because it will broaden their customer base. There will be users of the mobile games that wouldn’t invest in a standard console and the console fans will always want the latest, greatest so it might appeal to them as well. Only time will tell if this is the bridge that Nintendo needs. Brendan Spaar will definitely be watching to see how this plays out. This entry was posted in GA and tagged Brendan Spaar, georgia, Nintendo, smartphone, Super Mario, video games. Bookmark the permalink. Nintendo is most commonly known as the maker of video game systems and games that excite and challenge people of all ages. Brendan Spaar got his first Nintendo system when he was in 2nd grade. It is still in his collection along with the Super Nintendo, Nintendo64, Game Boy and Wii. Most of the games were designed to test skill, reflexes and just plain stamina because playing could go on for hours non-stop. Along came the Wii and a slight shift in gaming to a more interactive way of playing. No longer were the video game systems looked at as something strictly for kids. The days of being confined to a chair in front of a screen were coming to an end. Even senior citizens could be found using Wii Fit to get moving. It seems that Nintendo is continuing to push from the gaming area of technology and into the possibly larger health/living area. The newest offerings from the gaming giant will be in the QOL (quality of life) health focused devices. The first one we’ll be seeing is a bedside sensor designed to track sleep, send that info into the cloud and give suggestions for getting more rest. Nintendo’s president wants to redefine the company’s idea of entertainment. The company was founded in 1889 to make Japanese playing cards so the emphasis has always been on entertainment. It’ll be interesting to see if this new venture proves to be successful. It’s a gamble to go in a new direction but Brendan Spaar hopes they won’t leave the gaming sector in a deep sleep while they pursue this new venture. This entry was posted in GA and tagged Brendan Spaar, Nintendo, sleep study, Super Mario, video games. Bookmark the permalink.